Ladbrokes Backgammon is part of Ladbrokes Plc, one of the world’s largest gaming companies. 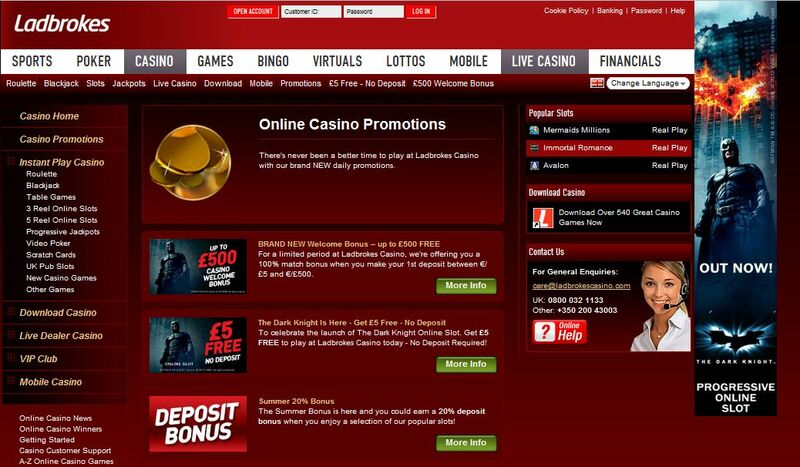 Ladbrokes Plc also runs an online casino, an online poker room, online games, online bingo and an online sportsbook. Ladbrokes Backgammon is licensed and regulated in Gibraltar. They are serious about safety and security and Ladbrokes Backgammon utilizes 128-bit SSL data encryption technology to ensure the security of your financial information. Ladbrokes Backgammon is powered by its own unique software. The software is available in a no download instant flash version which can be played on PC or Mac. The software supports play in multiple languages including English, Spanish, Portuguese, Polish, Danish, Swedish, Czech, Chinese, Romanian and plenty more. This makes Ladbrokes Backgammon available to more people around the globe than ever. Ladbrokes Backgammon is great for beginners. It offers game information such as rules and a glossary and it offers a backgammon school with a helpful tutorial. The software has many useful features such as backgammon history, exclusive articles and a tournament schedule. Players are also able to chat to each other in any language that they prefer and can use the speed chat function to chat to others in their own language. Players can choose to play multiple games at one time – up to two games can be played simultaneously. Players are able to join a game or to create their own games. You can choose from three different options – you can play a cash game (one game played for an agreed stake per point and a maximum stake), match games (any number of games played to an agreed number of points for a set amount) or free games (which are played in the same way as match games). Ladbrokes Backgammon offers competitive rake rates. When playing a match, after the first point, a rake of 0.125% will be added per point, capped at 11 points (1.25%). For tournament play, no rake will be taken; rather a fee of approximately 10% of the buy-in will be paid. The maximum rake to be paid will be 2.5%. 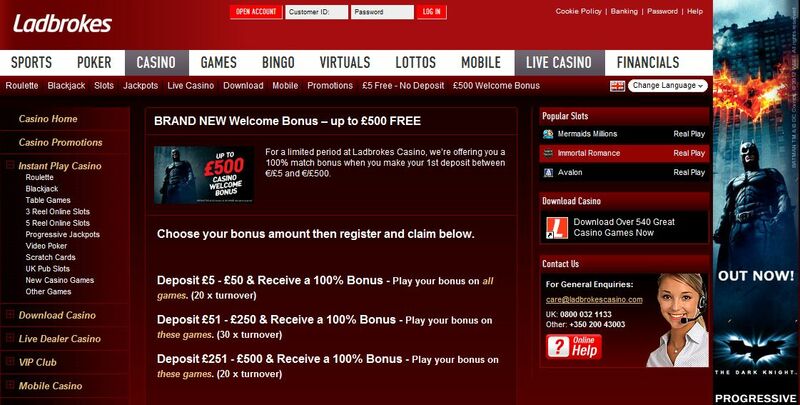 If you have any questions when playing at Ladbrokes Backgammon, you can access the help section or the Frequently Asked Questions section on their website. Both of these sections contain the answers to general questions or problems. If you do not find the information you are looking for in these sections, you can contact their customer service support team. They are available 24 hours a day 7 days a week via email and telephone. Ladbrokes accepts a wide range of banking methods. These differ slightly depending on where you are in the world, but you are able to find a comprehensive list, per area, in the banking section of the website. Some of the payment options that are accepted by Ladbrokes for depositing into your account include VISA, Master Card, Maestro, Solo, Switch, Laser, PayPal, NETeller, ClickandBuy, Ukash, bank transfer, Western Union, Moneybookers, Ladbrokes Shops and EntroPay.